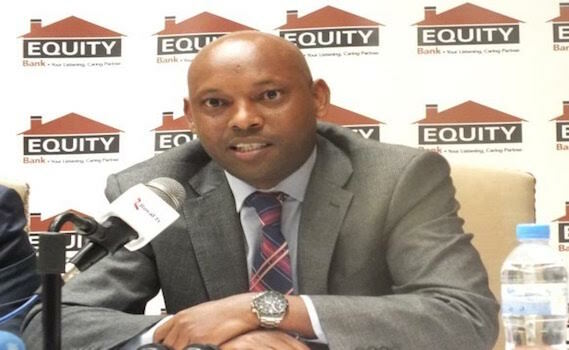 Equity Bank Rwanda is celebrating an aggressive market penetration drive that has earned the financial institution over 600,000 bank accounts for the past five years. The Bank’s Managing Director, Namara Hannington says the penetration has just begun, citing new products to be rolled out, largely mobile phone enabled. “We are going to end the struggles of customers moving from wherever they are looking for financial services, except for those who want to contact the Bank,” he told Taarifa on Friday evening from Rubavu. “We want to put an end to journeys and queues,” Namara said. All the other services will be available via mobile telephones, except for those who want to contact the Bank. He also said that the bank will deploy 2500 agents cross the country to facilitate the campaign. Meanwhile the bank has experienced a healthy growth in terms of assets and bottom-line also. It has offered over Rwf90 billion for the past five years. Namara attribute this growth to innovative products and a customer centric approach that has allowed customers to stay longer and also more customers coming on board.